i have been really bad on the blog front but i’m not gonna lie life’s pretty boring!! but in April i tried a couple of new shower products, no new make up products as i’m on a make up buying ban! since i got blond put in my hair i have been a mega “i-love-my-hair” girl and i try my hardest to take care of it. i get in the shower with every intention of washing my hair, then i think of how long it takes to dry and style and change my mind. it’s a lot of effort, it tires me out to be honest. i probably wash my hair 2-3 times a week. i’ve never been one to wash my hair every day cause that just ruins your hair. 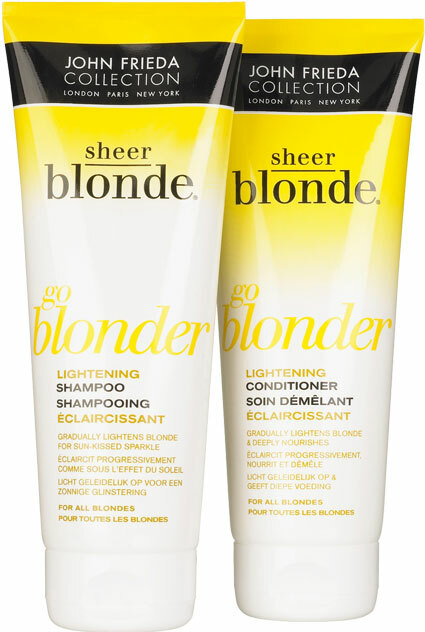 i always try different shampoos, conditioners and treatments etc, and i’ve tried a few specifically for blond hair, and when i was in Boots i seen the John Freida Sheer Blond Go Blonder range and bought the shampoo and conditioner. these products contain citrus extracts and chamomile, and these ingredients help to maintain the healthy colour in your hair, by tightening the cuticles and strengthening the hair shaft. for all shades of natural, colour-treated or highlighted blonde hair, which means you don’t need to have naturally blond hair, which i don’t. a few people have reviewed the product online and claimed it’s allowed them to get their hair coloured every 8 weeks instead of 6 weeks, some other people have claimed it hasn’t worked at all. i don’t really understand why it works on some and not others, but i can say it’s not gave me colour so i can get my hair done after longer breaks, but it’s made my awful roots look less bad. another thing i have noticed, i just noticed tonight as i was washing my hair, i go through conditioner like nobody’s business but i feel like this has lasted really long, so i was definitely paying the price for the quantity. 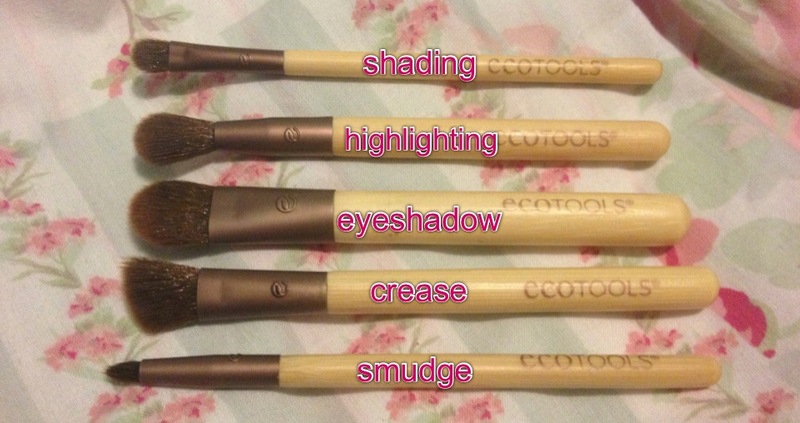 i think the formula is quite concentration, so i feel like after the first few times i learned that i don’t need to use as much as i do with other brands. i am really loving all American TV right now, i’m so wired into Gossip Girl, Desperate Housewives, 90210, 2 Broke Girls (new on E4 – AMAZING) but last week the winner was totally and completely Glee – Wanna Dance With Somebody. the amazing tribute episode would have done the late Whitney Houston proud. i was so impressed. when i seen they were doing a Whitney tribute i was a bit unsure and thought “who can do it as well as Whitney” but i love love loved it. my favourite was Santana and Rachel singing “So Emotional”. i loved that a couple of the songs had their own spin, with a different beat and change of the words (Dance With Somebody). i have a total and complete girl crush on Santana, and i absolutely hate Rachel, but i really enjoyed this one. Also, normally i can’t watch Kurt on TV but he absolutely KILLED “I Have Nothing”, he was amazing!!! i just loved it, and i think i may have watched it about 3 times since thursday and it’s saved on the Sky+ planner for more screenings! this has been a short favourite blog, it’s just that i haven’t had much going on. i’m planning the “30 photos” for June myself. I’m going to find a scavenger photo hunt for the month and try find at least one each day! it’ll be a fun one, i hope!